Use boxes, totes, and utility basins for your organizing and storage needs. 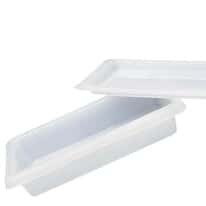 These containers feature handles for safe transport and the optional lids keep contents covered. Add a colander for cleaning of instruments and small parts.